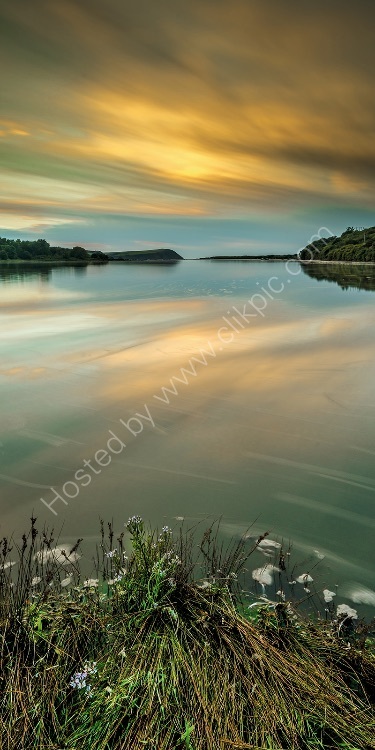 This image is taken on the Nevern estuary, near to the bridge in Newport, Pembrokeshire, looking towards Dinas Head. It really only works at high tide when the incoming water covers the mud flats of the estuary. A long exposure smoothed out the water, and allowed the sunset reflections to be shown at their best.